Reader BC of Warwick has won a small claims action against a Coventry trader over a £3,000 Ford Focus estate car bought from an advertisment on Autotrader. The story of how he achieved this may encourage other readers to take action where they feel they have been cheated. Ater 3 weeks it broke down. 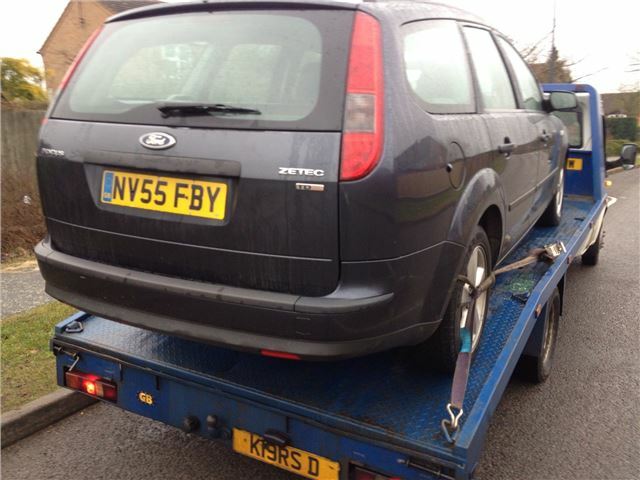 The trader took 10 days to return the car and it broke down again on BS journey home. 15 days later BC got the Focus back again and it broke down for a 3rd time 3 days later. After the 3rd failure, BC requested a refund. This was refused. So BS went to the Citizen's Advice Bureau and Trading Standards for advice advice. He arranged a compromise for the car to be fixed at a 3rd party garage (VRS Coventry). However, only remedial work was done to replace the timing belt of the diesel engine and 2 days later the same engine system fault occurred and the vehicle broke down for a 4th time. BC took the car back to the trader and requested a refund. He said he needed to check it out first before he could give BC the money back. Whilst BC was on Holiday the trader took the car without authorization from BC back to VRS and requested that a diagnostics was carried out. BC discovered this when he received a call while on holiday say his car was ready to be picked up. When the garage called Gary Thorn for him to come and collect the car he refused to pay, so VRS was forced to excercise the right of lien and hold the car until payment was received. BC was therefore left with no car and no refund. The car was originally sold to him described as in "fantastic" condition and the trader failed to disclose that it had been sold to him for scrap 1 month earlier. After receiving the court notification the trader tried to force BC to pay the £700 of storage charges it had accrued while on VRS premises.